Austria’s Constitutional court has today ordered May’s presidential election be annulled and another called after “particularly serious cases” of voting fraud were detected in the photo-finish vote. The Green party-backed candidate Alexander Van der Bellen originally snatched victory by a mere 0.6 per cent in the second round vote, which was taken to decide the new president of central-European state Austria in May. 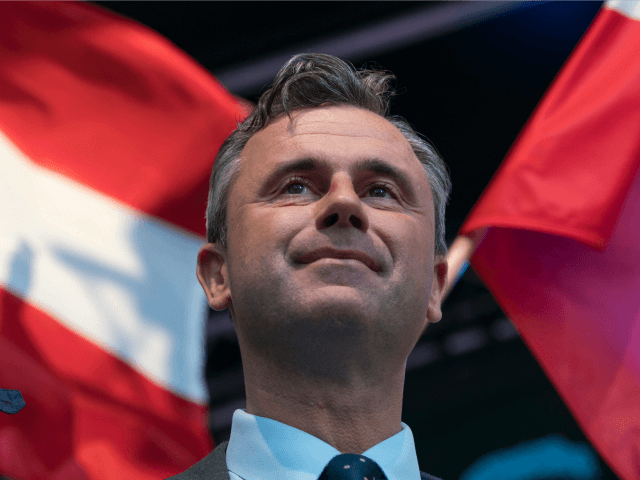 He had made it to the round alongside Freedom Party (FPO) candidate Norbert Hofer, who campaigned to protect Austria from mass migration and Islamification. Now the Austrian Constitutional court has upheld a complaint by the FPO about conduct in the election. The party had alleged that there were voting “irregularities” in 94 of the 117 total electoral constituencies in the country, reports Kronen Zeitung. It is not known how many of the 94 areas alleged to have voting irregularities have been investigated, but the court identified “20 particularly serious cases” after interviewing 67 witnesses. Two witnesses are reported to have refused to give a statement. The allegation is that in these areas the postal ballots were opened and sorted before the arrival of Electoral Commission arrivals, meaning they could have been easily tampered with. Given that the election was carried by just 30,863 votes, and up to 740,000 postal votes are in question the Constitutional court has now ruled the vote should be re-run, although the date for this has not yet been announced. Until the new vote in Autumn, the role of Austria’s Presidency will be fulfilled by a three-member National President Council (Präsidium des Nationalrats) — on which the FPO presidential candidate Norbert Hofer already sits. President of the constitutional court Gerhart Holzinger said the ruling “does not make you a loser or a winner” to representatives of the two parties present in the court room this morning, and said the sentence had been passed to “strengthen confidence in the rule of law and democracy”, reports Germany’s Die Welt. Breitbart London reported in May that Freedom party secretary Herbert Kickl had spoken out before the vote over the “unusually high number” of postal ballots requested. He warned at the time that “[postal votes] repeatedly show inconsistencies”. The decision comes just seven days before Green-backed candidate Alexander Van der Bellen was due to be officially sworn in as President of Austria. Even before the allegations of electoral fraud, the vote was already considered extraordinary as it is the first time in modern Austrian history where none of the candidates in the final round were representiatives of the mainstream parties. 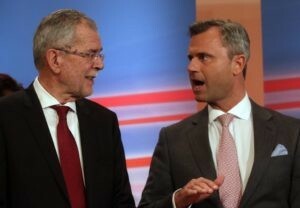 Rather than a run-off between the Austrian People’s Party (OVP) and Social Democratic Party (SPO), the presidency was up between either the populist-right Hofer, or Green der Bellen. Hofer, who initially told press his party would not be contesting the elections despite the close vote before the serious voting problems became apparent, campaigned on his Euroscepticism and opposition to mass migration to Austria.